This is a guest post from Mary Ross, who is a mom of four. Enjoy the post and leave your comments below. There was a huge sale in a mall where they advertised 50 percent off on crib sheets. So, I rushed to the store, and there I found them – all marked down to half the price. I bought two sets of crib sheets, all with one fitted crib sheet, one pillowcase, and a blanket. Why buy two sets of sheets? Well, these crib sheets are enough for your baby. You can use one set now and reserve the second set for changing. The third set is for poop and spill emergencies. I was in a hurry to grab my crib sheets that I forgot to check if it is of high quality. I end up having an inferior one compared to the crib sheet at home. Your baby’s skin is soft but sensitive. Rough materials can cause itchiness and rashes on his skin. Some fabrics are not comfortable on the skin. It will only cause your baby to cry when they sleep on the sheets. Before you buy, feel the fabric on your skin to know if it is scratchy or not. Make sure it is soft and smooth to touch. To help you identify which is the softest, check the thread count. A thread count of 400 and above are assured the best sheets. Size does matter to crib sheets. Choosing the right size will save you money since larger sheets may be priced higher. It is also safe for your baby considering that there are no extra fabrics that may cover his head while sleeping or cause strangulation. You must be aware of SIDS and bed sheets is one of the causes of SIDS. The standard size of a crib sheet is 24 inches x 38 inches and 28 inches x 52 inches. The best way to know the right size of your crib sheet is to know the size of your crib mattress. You can check the guide attached to the bed. Then, check out the standard guide indicated in each sheet cover to see which size fits your mattress. Crib sheets must be installed snugly on the mattress. Make sure the size is not too small since it will easily peel off when your baby is moving around causing it to wrap around him. You can use the elastic bands on each corner to secure the sheet in place. Making the most of our spare time is important for us since it gives us time to rest and do things for ourselves. But, spending too much time washing sheets may limit our leisure time. When buying your crib sheets, first know how to clean and maintain it. Some fabrics require delicate hand washing while others are fit to wash in the machine. Softer fabrics are great on the skin but may require more time and complexity in washing. Other sheets can be included in your regular wash but are not too smooth for your baby. To eliminate constant washing, you can buy more sheets for extra use so you will always have a spare sheet even if you haven’t washed the old ones yet. Crib sheets are made of different materials. There are cotton sheets that are breathable therefore softer and more comfortable than other materials. It is also hypoallergenic so your baby will not suffer from allergic reactions. However, cotton sheets may not be as durable as the others. It can be torn and shrink after constant washing and use. It is also easily wrinkled. Another type of material is the flannel sheet. It is more durable than the cotton sheets but not as soft. If you choose high-quality flannel materials, you may be getting softer and smoother fabrics. The drawback is that flannel sheets are not as breathable as cotton hence may not be comfortable during hot days. Polyester sheet is another type of material you can choose. It is one of the most common materials for crib sheets because it is less expensive than the rest. You will love how easy it is to clean and maintain. However, polyester materials are not environmentally friendly since they are not made of natural materials. They are not as soft as cotton. The fourth type of material is the fleece sheet. Most parents love fleece because it dries quickly so changing is fast. But, fleece can easily attract dust and hair, and it is harder to maintain and wash.
Added features make your investment more worthwhile. Apart from buying a good crib sheet, you also get to have the extra benefits for you and your baby. For instance, you can consider sheets that are water-resistant. It will save you more time in cleaning after a spill since the water is not easily absorbed. Then, you can choose sheets that retain heat, especially during the winter. 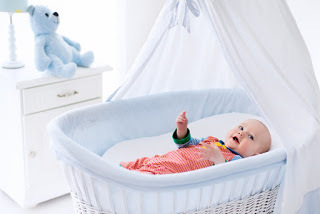 Your baby will appreciate the added warmth when sleeping in his crib since the heat is trapped inside the fabric. 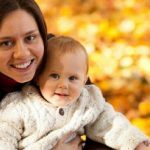 Buying the essential things for your baby requires proper consideration of many crucial factors that may affect him. These things must be safe, comfortable, helpful and appropriate for your child so you can get the best out of it. I have learned my lesson when it comes to buying baby things. Because I was in such a hurry, I ended up wasting money on something that was not the best. Since then, I see to it that I think things through before making a purchase. That way, my baby and I will always be happy with what we have. Are you happy with your crib sheets at home? What factor do you consider the most important when buying sheets? Share with us your answers! About the author: Mary Ross is a mom of four. She loves using her energy to help other people improve their lives.